Happy Wedding Wednesday to all my future brides out there!! So, when you get engaged, one of the major focuses is finding the perfect wedding dress! Typically, you already have a vision for your dress, and probably pinned a million different ones to your "dream wedding" board on Pinterest, am I right? 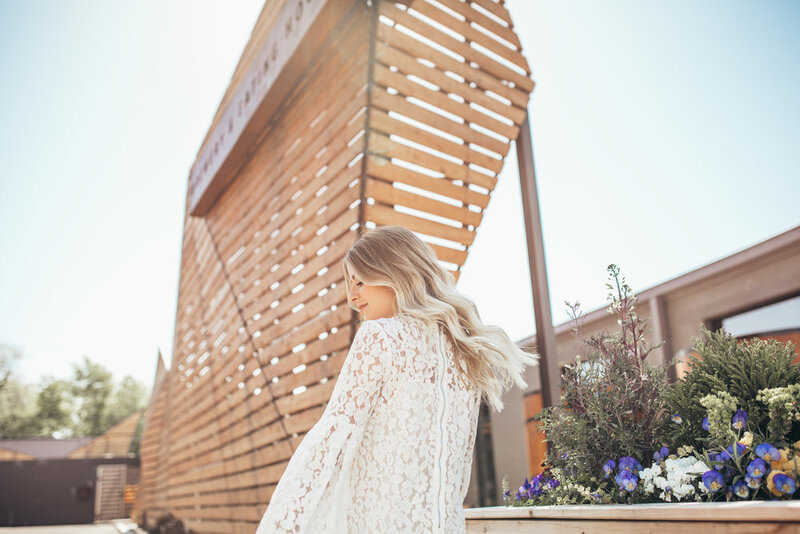 Finding the perfect wedding dress is so much fun, but don't forget that you also have to find the perfect dresses/outfits for your bridal shower, engagement party, bachelorette party, rehearsal dinner, honeymoon... should I go on?? The list is pretty long and honestly it gets a little stressful having to add "find a dress for a ton of different events" to your wedding to-do list! 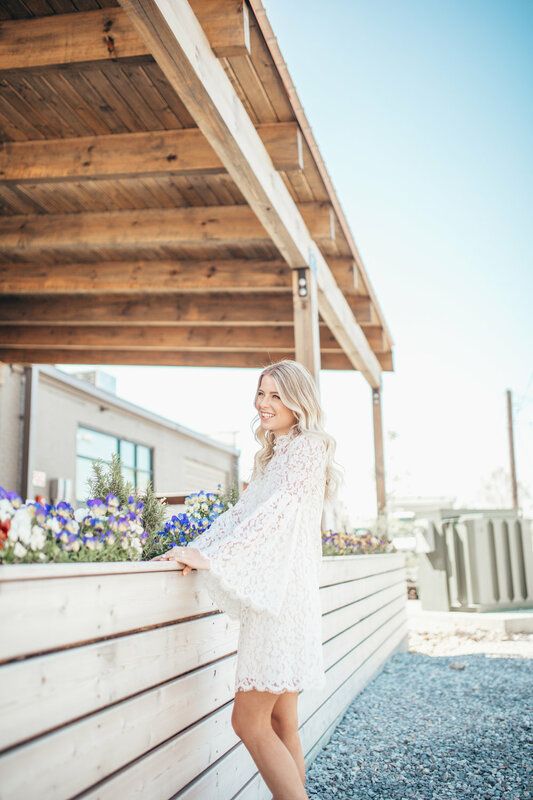 To make all you brides-to-be's life a heck of a lot easier, I went ahead and rounded up my favorite white dresses that are perfect for several occasions! If you're not a future bride, these dresses are just too cute in general and perfect for a dressy, summer event! Keep scrolling to find all my Little White Dress picks at the bottom of this post! The dress featured in these photos is from the cutest, new bridal boutique, Eternal Ivory! I absolutely LOVE the lace detail on this dress. It is feminine, classy, and trendy all at once. This is a sneak peek of one of the many dresses they will have for all you gals! Their online store opens May 10th, so make sure to mark your calendars! p.s. - If you're still on the hunt for your wedding dress, WeddingWire has some really good articles under "Wedding Fashion" that will help you narrow down what you like! Within the Wedding Fashion tab, there is also tons of tips and info about what your Groomsmen and Bridesmaids should wear, jewelry ideas, and articles on the latest wedding fashion trends! Best Denim Shorts for Summer!